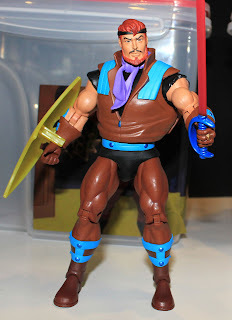 Hydron will be one of the 2014 Club Eternia monthly figures and, frankly, is a character I'm shocked that it has taken Mattel this long to get to. Along with Icarius (Flipshot) and Galactic Protector He-Man, he makes up the three main New Adventures heroes from the first series. 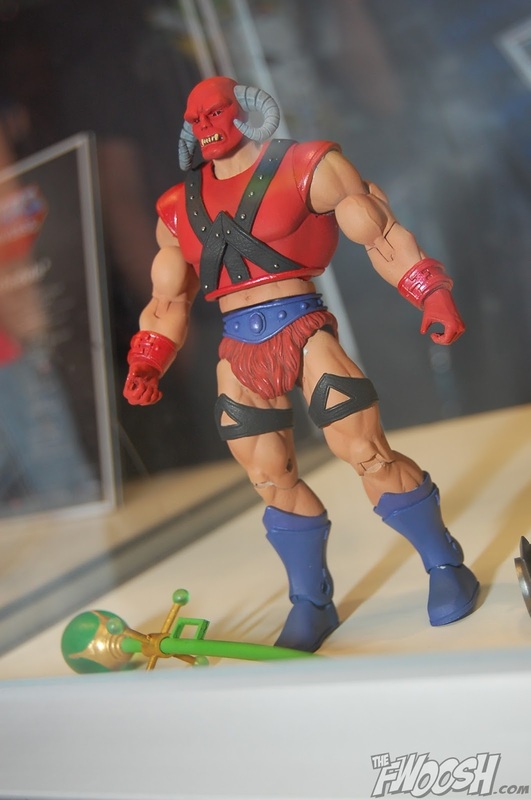 I think the figure looks excellent and that it's a real shame that there's so much hatred directed towards the New Adventures of He-Man. I'm not a huge fan of the cartoon, I've always liked the toyline. You can't tell me there's no way you could fit this guy in with your other MOTUC figures. Kowl was another figure I was really looking forward to as I both find the character humorous and consider him to be a major player in She-Ra: Princess of Power. Kowl will not be part of the subscription but instead will be released with the End of Wars weapon pack in October, which is apparently the last weapons pack we are scheduled to get. 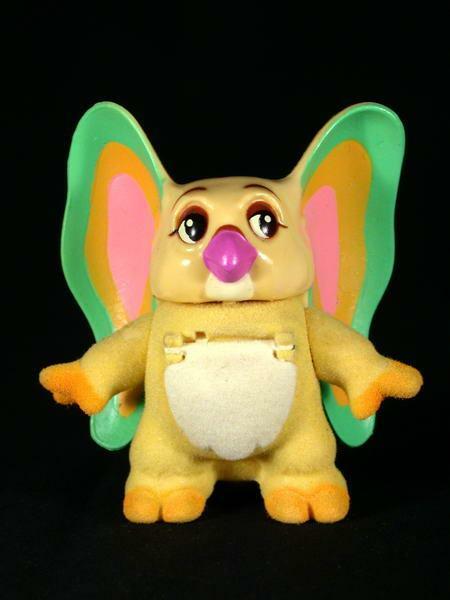 What you'll probably notice is that Kowl is not in his traditional Filmation red color scheme, but in the yellow that he appeared in in the She-Ra: Princess of Power vintage toyline. I really think this is a strange move and, although I'm sure there are some PoP toyline fans who are quite happy, I would imagine that most would have preferred a more Filmation colored Kowl. Am I right? Anyways, let's hope red Kowl gets packed in with another character later on. Besides more colorful weapons in various shades of green, the set also includes Strobo's gun and Rattlor's 200x armor. Glimmer isn't a particularly exciting figure, but she's super important to the She-Ra: Princess of Power story. Heck, she's the actual leader of the Great Rebellion. And it's only taken Mattel 5+ years to get to her. The figure looks nice and seems to perfectly capture her essence from the Filmation cartoon, and I do like her accessories. Much better than just a shield. The headsculpt looks really pretty and well done. She's part of the 2014 Club Eternia sub and will be a standard monthly figure. These guys turned out great. After Clawful, I was a bit nervous as to how Two-Bad would turn out, but the 4 Horsemen did a smashing job on this guy. While I'm anxiously awaiting Ninjor, Blade, and Saurod, this guy definitely feels like he completes Skeletor's main crew. 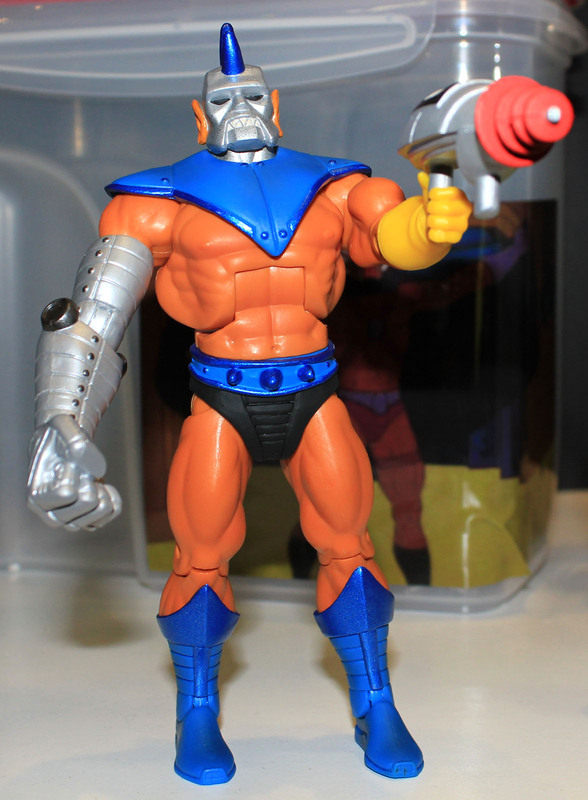 He's part of the 2014 Club Eternia sub and probably the strongest selling point of it for many people. I love that Mattel gave him both his vintage shield and his 200x weapon, plus the way they nailed the differing textures of his (their?) torso is fantastic. 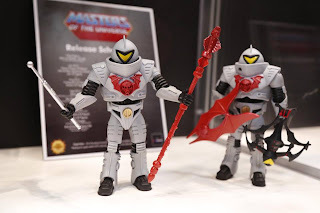 While we haven't seen the figure yet, the presence of Blade's sword and some comments made on the Roast Gooble Dinner podcast by brand manager Scott "Toyguru" Neitlich pretty much confirm that Blade, one of Skeletor's mercenaries from the 1987 movie, will be part of the 2014 sub. I actually love the movie and have been anxiously awaiting for Blade, Saurod, and Gwildor. Definitely one of my most anticipated figures for next year. Let's hope he comes with a whip! One of the quarterly sub figures for Club Eternia 2014, Modulok looks to be quite impressive. My guess is that he's the second biggest draw for next year's sub thus far. 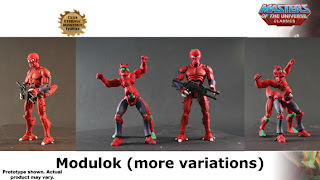 I'm not really a huge Modulok fan (I don't dislike him or anything) but I certainly am looking forward to this guy as he looks almost perfect (although the neck looks kind of weird to me in some of the pictures). Still, the above shots show some of his different body configurations, all of which look pretty cool. Finally! This line really needed some more evil army builders, and who are more popular than the Horde Troopers? They look quite nice (all unique tooling), feature plenty of cool weapons, and come as a two-pack. They're part of the 2013 sub, but Mattel would be stupid to not have plenty of these guys available for day of sale. The heads are a little odd though, aren't they? They definitely don't match the look of the Horde Troopers on the Filmation cartoon. Interesting choice. Geldor is not a bad looking figure at all, he's just not super exciting to me. I understand that he won the fan's vote last year, but he just seems so plain. I like his ax, and the headsculpt is fantastic, but everything else is just bland. I mean, he comes with a glass of water. Woo!! Anyways, he's the November figure for the 2013 sub. This guy was a true surprise, as was the Sky Sled. Not part of the sub and available in September, hopefully this set won't be too much of a pain to get. Sky High is actually the final Monogram vehicle driver (he piloted the Wind Raider) from the old model kits. Will this guy be listed as one of the Fighting Foe Men? He actually looks really, really cool, as does the Sky Sled, which we've been told would be compatible with the Battle Ram Chariot, if it were ever made. Honestly, this guy looks like he could be a decent army builder for fans who buy more than one Sky Sled. The swashbuckling rogue Sea Hawk finally makes his appearance in the Club Filmation subscription in November. He looks pretty spot on, although his extra layers of clothing do make him look a little bulkier than expected for a slimmer character like Sea Hawk. I like his accessories, though, and he seems like the kind of figure that most fans (even those wacky PoP haters) could fit into their collections. He's essentially the "rogue" archetype for this fantasy toyline. The figure's called Strong-Or, but he's based off of Strongarm from the Filmation cartoon series. Mattel must have lost the rights at some point. You would think they definitely would have had a trademark on the whole strongarm thing, wouldn't you? They basically use it all the time to sell subs. Hey-Ho!! 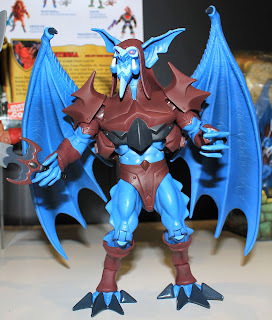 Anyways, looks decent and seems to strike a good balance between the Filmation cartoon and the Classics aesthetic. He's the Club Filmation figure for December 2013. I have no hatred for the character (Temple of the Sun is a pretty good episode), but Nepthu is just a really boring figure. His head sculpt doesn't even look appropriately evil, which is even more bothersome. The bird and the ankh are cool, but I have a feeling this guy will be the red-headed stepchild of October 2013. Well, how about moving on to a figure that just looks fantastic? A pretty minor character in the MYP cartoon, but one that had a definite visual appeal, Lord Dactus looks to be an impressive addition to the line. Can you call him too 200x-ish? Well, we've never seen him any other way, so I'm just assuming this is how he looks. He was a nice surprise, and definitely a highlight for the second half of 2013. Here's the 2014 Club Eternia sub exclusive--The Unnamed One! Yup, that's him under the black cloth with a red question mark. 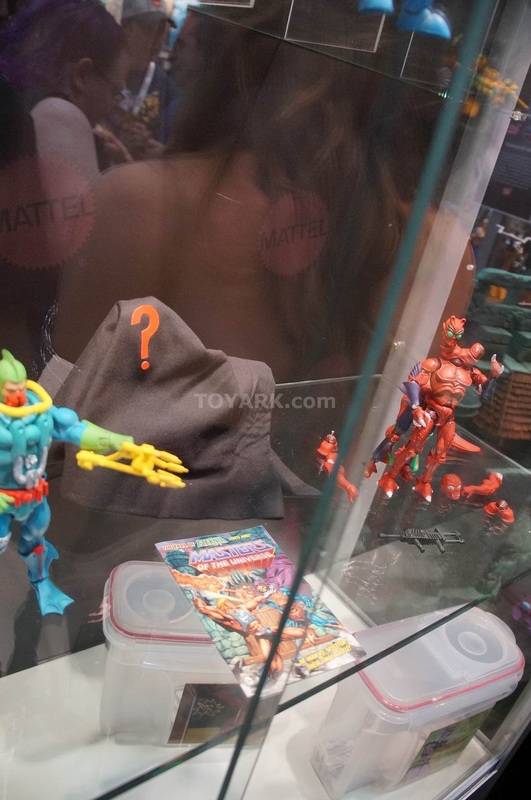 So despite the fact that Mattel seems so unsure if the line is going to end or not without the needed subscribers, they go and make the club exclusive a mystery figure. 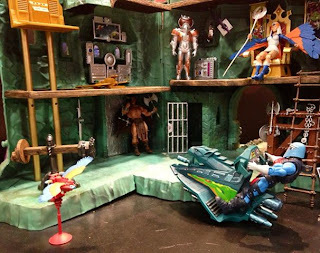 In many ways, I think the showmanship present in the way MOTUC has been handled has helped, but in other ways, I think it's really hindered the line. Anyways, we've been told that the figure will be recognizable and that it is almost an entirely new tool. 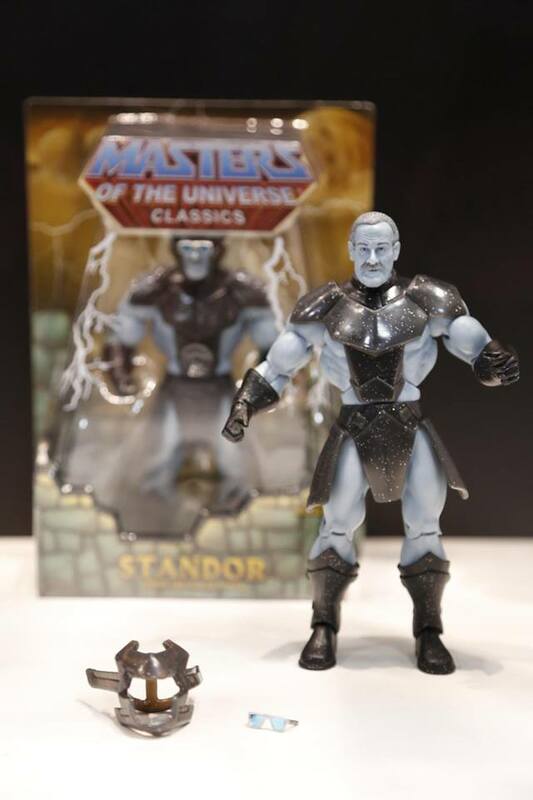 Set to be released at Stan Lee's Comikaze Expo, Standor is essentially a MOTU version of Stan "The Man" Lee. I think he turned out much better than I imagined and seems to be a blend of Stan Lee, "god" Skeletor from the end of the 1987 movie, and the elders from the MYP animated series. Many fans have chosen to deride Mattel over this figure, although we have been told a number of times that: 1.) He's not part of any subscription--not this year, not next year--if you don't like the figure, you're not getting stuck with it; 2.) He apparently was funded by Mattel and/ or Stan Lee's group, not the MOTUC budget. I'm still not a big fan of things like this, but it sounds like the powers that be wanted it to happen. It isn't a bad figure once you remove the goofy glasses, but wouldn't Excelsior have been a better name? This guy is just wicked looking. He's a traveling convention exclusive for 2014 based on a character from the Golden Books and he looks like he will integrate perfectly into the original group of Skeletor's Evil Warriors. Can't you just see this guy as a vintage figure? Another tease so brief that no one even seems to have a picture of it. It's been strongly insinuated that Scorpia will be a monthly figure in the 2014 sub, so that's another never-before-produced character from the Filmation series, Princess of Power, and the Horde being made. Sounds like a winner all around! Just add your own Chain Smoking New Yorker voice. I kind of like old Plundor. Lots of people don't. Anyways, he is not part of the 2014 subscription so don't let him put you off. 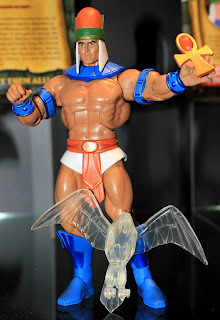 I have no idea why they chose to put him in the Club Eternia subscription as opposed to the Club Filmation subscription, but they did. 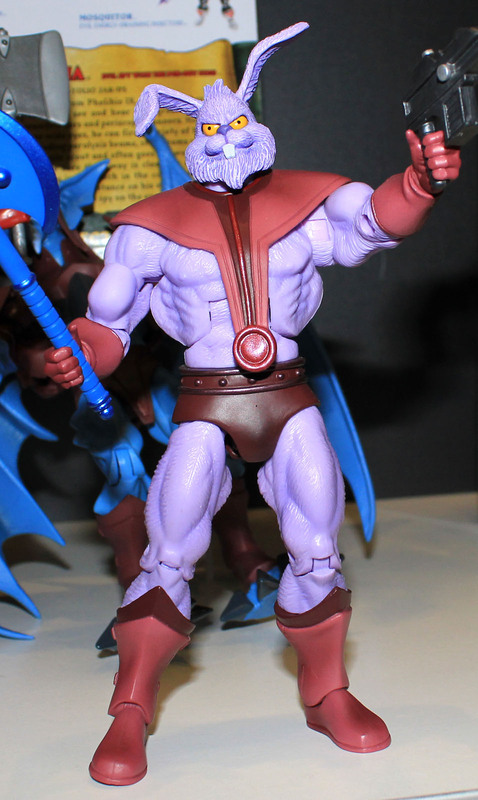 He comes with Skeletor's axe from the Filmation cartoon, which is super neat though. Not part of the sub and slated to release in November, Castle Grayskull actually looks a lot better than the last time we saw it. The jaw bridge has been lowered so figures can actually stand on it without having to duck entering the castle, the Castle Grayskull robot has been more fully developed, and the throne has been designed to allow the Sorceress to sit down (although her wings still do flail out). I'm liking it, but it seems many folks are canceling their preorders. Just so you know, guys, every Grayskull preorder you cancel makes that pretty girl above cry. Hope you feel good about yourself, tough guy! Ladies, every pre-order of Grayskull cancelled makes Toyguru cry. Do you really want that on your conscience? So, what's the deal with Loo-Kee? Well, he was shown during preview night, and a context was announced where anyone who found him hiding at SDCC and submitted a picture won a free 2014 subscription. It turns out, though, that Toyguru announced he was just sculpted for this event. Surely he'll be released at some point, right? Perhaps in a mysterious way such as a pack in? Who knows! 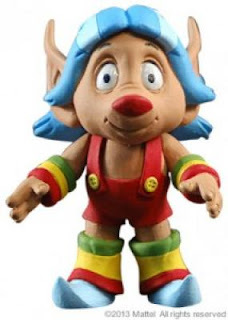 If there's one character I think I'd be ok with not getting, it's Loo-Kee, but he is a big deal considering he was technically in every episode of She-Ra Princess of Power. Maybe he's the Unnamed One? So, who's left from my top 25 that we didn't see at SDCC? I'm glad you asked! First, there's Illumina--a character who has soared to popularity amongst some fans based on her very cool appearance and mysterious nature alone. While she came in 2nd place last year during the fan favorite poll, I just don't feel like Mattel really has any intention of ever making her due to the fact that, while they own the character, they didn't create her themselves. It was great to see Hydron, so I hope within the next year that we also see either New Adventures Skeletor or Flogg, the last two New Adventures characters needed to complete the minimum core roster. I personally think the New Adventures have been some of the strongest figures released in the line, but some fans seem intent on hating everything about that faction simply because they didn't grow up with it. if we get one more variant in this line, I would bet it'll be NA Skeletor or a blend of him and Laser Light Skeletor. I personally think not showing Rio Blast at SDCC was a huge mistake. Maybe Matty wants to keep him back for 2015, but that seems like a gamble. He's easily the most requested Heroic Warrior at this point and would have hopefully sealed the deal for many vintage only subscribers who feel that there aren't enough figures left for them in the line to bother subscribing next year. Everyone likes Rio Blast--even Mer-man thinks he's a righteous dude! While Blade's sword was teased, we still haven't heard from Gwildor or Saurod yet. My guess is that Matty is waiting to reveal Blade at Power Con because most likely actor Anthony DeLongis will be there, which would make for a cool reveal. Still, I think one movie figure truly revealed before the sub-window closes might have been smart because it appeals to both the vintage line fans and the small but die-hard crowd of fans who love the movie and the more obscure figures in the line. We saw Kowl, Loo-Kee was teased (but then denied), yet we still have see no sign of Imp. With Mattel seemingly so intent on finishing the Horde, surely Imp will pop up sometime. I love the evil little guy and he's definitely one of my most wanted figures. If Mattel wanted a good subscription figure for 2014, they should have looked no further than Eldor. He fits in to the popular Powers of Grayskull era, has quite a following, and nicely fills the archetype of the wise old wizard. This guy should have been the 2014 exclusive, no doubts about it. We've got Glimmer on the way in 2014, so let's hope we get Queen Angella, Glimmer's mom, before long. She's a pretty major part of the show and is actually one of the coolest POP females that we haven't gotten yet. 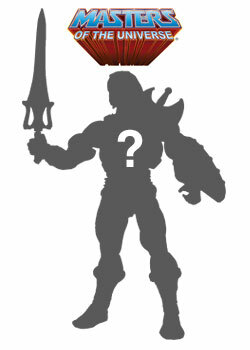 What do you think about Mattel's lineup for the rest of 2013 and for 2014? Are you subbing up again? Not subbing? Preodering random figures through Big Bad Toy Store? Tell us about it in the comments!